The perfect length for travelers, this is a relatively short but still in-depth guide to one of the most fascinating sites in Paris. In smooth and dignified tones, performer Margot Knight leads listeners through the history of the site at the summit of Montmartre, from the days of the Romans and Saint Denis, to the Franco-Prussian war, Paris Commune, and the construction of the famous basilica that tourists see today. Full of intriguing facts and stories, this would make for an excellent introduction to this beautiful site in preparation for a visit. 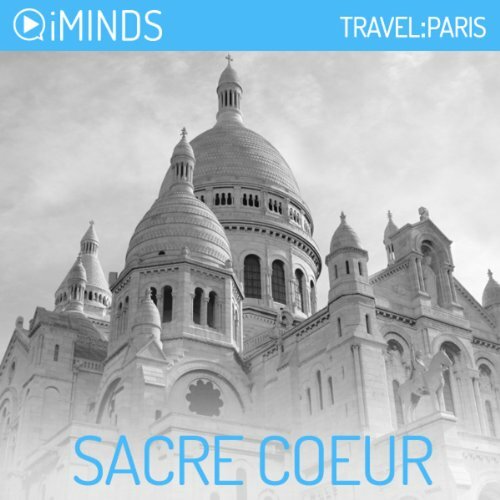 Learn about the history of the Louvre in Paris with iMinds Travel's insightful audio knowledge series. Imagine entering a place where you can travel back in time from the sixth millennium B.C. to the modern day. A place where you can travel from Europe to Africa and then take in the Americas and the Middle East, all in one day. Okay, you would probably need more than one day, because this place is called the Louvre. It is one of the biggest museums in the world. And it is the home to the most comprehensive collection of art assembled under one roof anywhere in the world. The Louvre is situated in the center of France’s capital city, Paris, on the northern banks of the river Seine. Although it is based in France, it contains masterpieces from most time periods and cultures throughout the world. In fact, the building that houses this incredible collection of art has an interesting history all of its own. iMinds will tell you the story behind the place with its innovative travel series, transporting the armchair traveler or getting you in the mood for discover on route to your destination. Perfect to listen to while commuting, exercising, shopping or cleaning the house.. iMinds brings knowledge to your MP3 with 8 minute information segments to whet your mental appetite and broaden your mind. Make your MP3 smarter with iMinds MindTracks, intersperse with music and enjoy learning a little about a lot.. knowledge of your own choice and in your own time. Would you consider the audio edition of Sacre Coeur to be better than the print version? The audio version is wonderful because if one is planning to visit, there is plenty to do and so it saves a lot of time listening to general information and history on the topic...you'll see it when you get there, and you can Google spellings that confuse, so YES better than print.